When Heather from The White Mule Company asked if she could share her wedding drink trends for 2019 on my blog, I of course jumped at the chance. Having run this beautifully converted horse trailer since 2017, I could think of nobody better to put us in the know about all things cocktails, bars and well alcohol! Buying local isn’t just for Christmas. It comes as no surprise that people are more conscious than ever when it comes to their food. Asking ‘is it eco-friendly, locally sourced, fairly produced’ are now common questions we have all asked at one time or another. And the same can be said for drinks. Customers are wanting more and more locally created wines, beers, ciders and spirits, and who can blame them. Small breweries produce fabulous products that not only are delicious but can be rather unique (banana beer anyone?) Why not give your guest something different that perhaps they wouldn’t have tried before whether that be just one drink or a whole locally sourced menu. And if for not that reason do it because its nice to support small businesses. The bar is set up and ready to go, so why make your guests wait? Light alcohol cocktails, spritzers and mocktails make fantastic drinks to ease your guests into the day and something that not many couples are offering in the UK. Pre-ceremony drinks are gaining popularity across the pond and its here for 2019. Pre-ceremony drinks do not have to be alcoholic and keeping it alcohol free or low alcohol at best is the sensible way for your guests to enjoy a beverage without becoming a liability during your vows. However, if you decide to serve any alcohol before your ceremony make sure to check with your registrar as well as your venue that this is something their licensing allows. Edible flowers look blooming lovely (ah see what we did there?!) and add a touch of elegancy to anything they are added to. Cocktails are no different. Edible flowers will be around a lot this year especially during summer months when flowers are naturally in bloom. You could even reflect your colour scheme in your edible garnishes. It’s a great way to offer affordable glamour to simple drinks while adding delicate aroma and flavour. Win win we think. 2019 couples are recognising that a basic bar offering the usual spirits and mixers is not going to cut it. Having a bigger bar that allows more choice for guests including high end pours, bitters and exotic, fresh fruit juices means a good time all round as well as showing guests you really know how to cater for a party. While the running of day and early evening festivities is important make sure you don’t overlook the later part of the evening with some customisable beverage stations. An interactive D.I.Y hot chocolate bar or coffee station is a great way to get your guests enjoying your big day. You can offer a variety of syrups, garnishes and edibles to accompany your drinks and everyone will love making their own. Plus, it will help give those folks that enjoy themselves too much a break from all those martinis! Plastic. Its one of the biggest issues we face as a planet. And while its not going anywhere soon that doesn’t mean we have to contribute. 2019 couples are more conscious than ever of their ecological footprint and hiring glassware is one of the top ways to reduce your plastic use on the day. Why not take it all the way to the top and offer guests name tags they can attach to their glass so that they use less glasses throughout the wedding and save on the washing up! Your signature is changing but signature cocktails are going nowhere. Signature cocktails were popular last year and they are back again for 2019. Whether you want to hire a mixologist to create a one of a kind tipple or reinvent one of the classics it’s a great way to put your stamp on your menu and offer a bespoke drink. So there you have it, everything you need to know to ensure that your guests are treated to the most amazing array of beverages on your wedding day. If you are considering hiring a mobile bar for your special day head over to The White Mule Company’s website to learn more about the wonderful menu’s and packages they offer. 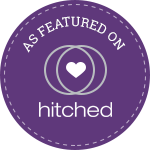 And, if you need assistance with any other aspect of planning your wedding take a look at my website to learn about the planning assistance services I offer.